We recently shared information about how important breakfast is for maintaining good health and starting your day off in a great mood. 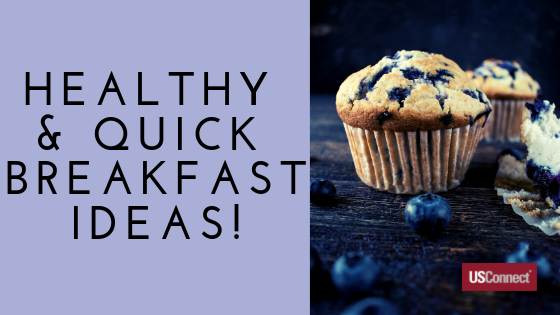 Now that you know some of the benefits of not skipping that morning meal, instead of hopping in the car with nothing to eat, here are some simple solutions that will guarantee you have the time to enjoy breakfast even when you are in a hurry. Berries and Oats Muffin – in the Microwave! Put the quick oats, handful of berries, egg, and a sprinkling of brown sugar into a coffee mug. Mix until well-combined, then microwave for 1 minute on high. Take a peek at 45 seconds to prevent it from overflowing, and keep cooking in 30-second increments until the muffin looks firm. Using a coffee mug, add the egg, 1/3 cup shredded cheddar, 1/3 cup milk, and salt and pepper to taste. You can optionally add some bacon or bacon bits as well. Using a fork or miniature whisk, beat thoroughly to mix well. Cover the mug with a paper towel and microwave on high for 3 minutes or until fully cooked. You may want to add spinach to get an even greater nutritional punch. Just make sure the spinach has had as much liquid removed as possible before adding to the cup. These delicious little snacks are easy to make and their decadent flavor will make you feel like you are able to eat dessert for breakfast. The no-bake, super easy recipe is packed with fiber, healthy fats, and protein. With only five ingredients, this recipe means you have no more excuses not to eat breakfast! Combine all ingredients in medium bowl. Stir until well combined. Refrigerate for 15-30 minutes to make them easier to roll. Roll into balls. These may be stored in the fridge for up to a week if you can get them to last that long. Good luck with that! With 5 minutes to prep and 10 minutes to bake, you can toss these babies in the oven and finish getting ready while they cook. 2. Lightly coat 2 10-ounce ramekins with nonstick spray or oil. 3. Pour marinara sauce into ramekins in even portions. 4. Add milk, both cheeses, and eggs. Season with salt and pepper to taste. 5. Bake until egg whites are cooked through and opaque, approximately 10 minutes. 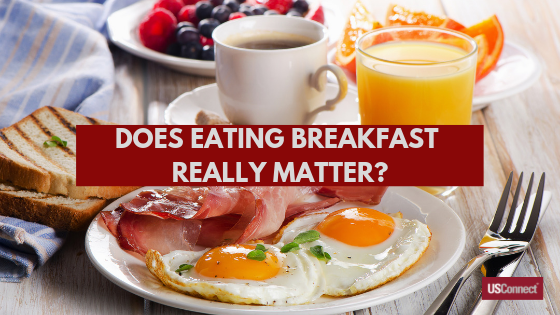 Does Eating Breakfast Really Matter? We’ve all been there in that morning rush when you are trying to get your lunch packed, make sure the kids have their lunches packed, and you’ve already spilled your coffee. It seems like everything in the universe is conspiring to make you late for work. You are tempted to skip breakfast, but your stomach is churning, and you know it really is the most important meal of the day— regardless of how cliché that may sound. Is it true? Is breakfast really that important? Well, according to dietitians, yes. It is! Not only does eating breakfast give your metabolism a kickstart—helping you burn calories all day long—but it helps your brain to focus, which is important whether you are heading to the office or heading to school. Many studies have shown that eating breakfast is associated with having a better memory and concentration, a lower chance of developing diabetes, heart disease, having lower levels of “bad” LDL cholesterol, and having good health in general. It is difficult for experts to say whether breakfast is the cause of these healthy traits or whether people who eat breakfast just also have healthier lifestyles. In addition to benefits for your health, eating breakfast can affect your emotional outlook as well, improving your mood in the mornings drastically. Skipping breakfast, or any meal for that matter, can lower your blood sugar which not only leaves you feeling weak and tired, but also lowers your mental acuity, and often puts you in a bad mood. British researchers conducted a study (published in the 1999 journal, Physiological Behavior) in which 144 otherwise healthy adults fasted overnight and then were separated into several groups the next morning. One group ate nothing, one group had a moderate breakfast, and the third group only had coffee. Over the next several hours the groups were monitored. The group having had nothing to eat performed the worst on memory tests and felt the most fatigue at noon, four hours after waking. The group consuming coffee did not feel fatigue, but had lower scores on mental skills tests than those who ate breakfast. Other studies have turned out similar results. Dr. Tangney also points out in regard to adolescents, “Of more concern is that an association has been found between skipping breakfast and other risky behaviors like smoking and experimenting with drugs and alcohol.” So, including that all-important meal in your family’s daily routine may be helping in more ways that you can imagine. If you often have no time to prepare breakfast in the morning, try keeping some ideas on hand that you can use to prepare the night before a quick grab-and-go breakfast. Muffins or mini-quiches can be made the night before, or perhaps just some simple biscuits with bacon and cheese that you only need to reheat in the microwave before you leave. There are many options that are easy to prepare in advance that you can serve all week long without having to spend hours in the kitchen or make yourself late getting out the door in the mornings. Your morning rush will be a little less stressful if you can just grab it and go. What Does Extra Weight Do To Your Heart? With Valentine’s Day this month, many are thinking about their sweethearts and what to get them to show their love: candy, flowers, jewelry, etc., but February is also National Hearth Month, and we should give an equal, if not greater, amount of attention to our physical hearts and what we can do to keep them healthy—that would be an important gift to give to your significant other. 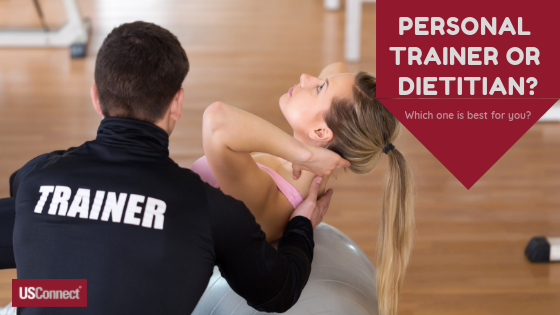 Have you thought about how your heart could be impacted by carrying around extra weight? According to the CDC (Centers for Disease Control and Prevention), more than 93 million adults in the US were classified as obese in 2015-2016. A person with a Body Mass Index of 25-29 is considered overweight, but an obese person has a BMI of 30 or greater. Morbid obesity is one with a BMI of 40 or greater. Below is a table from the CDC that will help you to see what that means in terms of actual weight, using a 5’9” tall person as an example. 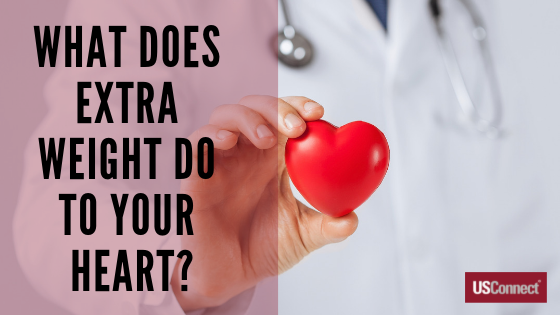 We want to help you keep your heart healthy, so with that in mind, have you thought about how your heart could be impacted by carrying around extra weight? When your body is larger, you force your heart to work harder to carry blood throughout your body. This can lead to high blood pressure, which over time, can enlarge your heart or cause it to weaken, and can contribute to heart failure. Another potential effect is narrowing of blood vessels throughout your body, which can cause a stroke, heart attack, or kidney failure. You probably acknowledge that being overweight can lead to problems with your health, but did you know that just making small changes in your weight can lead to big changes in your heart’s overall function? Heart disease is one of several risk factors of carrying extra weight, but dropping just 5 to 10 percent of your weight can lower that risk. Take the stairs instead of the elevator or look for a parking spot at the end of the lot instead of the closest one you can find. Instead of sitting all day at work, make it a habit to get up and move at least every hour. There are also desks that are available which, with a push button, will raise up for standing or down for sitting. Stand at least part of the time when working. Park at the end of your driveway to force yourself to carry more loads from your car to your house when bringing groceries in. It’s little changes like this that might not seem like much but which can have an impact when you do them frequently. Also, imagine how much less frustrating it will be when you aren’t searching for that “good spot” at the store. You’ll feel less stress and maybe even a little pride as you hoof it past all the disgruntled drivers who are vying for that premium parking spot. Speaking of the store, make a shopping list before you go in. This reduces the chances of impulse buying and picking up junk foods that will work against you. 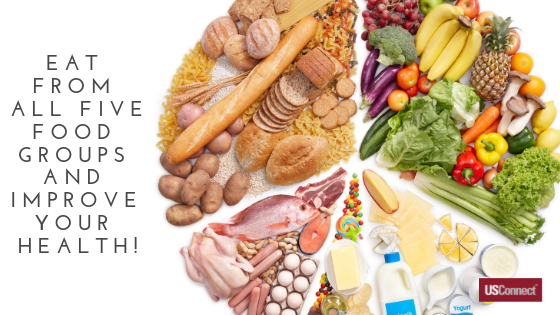 Make healthy food choices a priority. 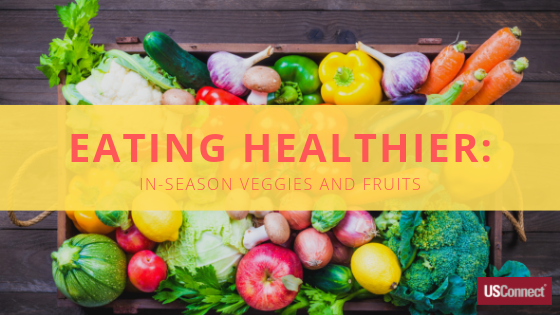 If your kitchen is stocked with healthy snacks and foods that are in line with your goals, it will make your efforts much easier. Try to eat small healthy snacks frequently. When you wait too long to eat, your appetite increases, and you are more likely to overindulge when you finally do eat. Also, going too long between meals can slow your metabolism—working against you. By cutting out just 500-1,000 calories each day, you can lose around 1 to 2 pounds per week. Try replacing that bag of chips with carrot sticks and hummus or a salad. Eat a cup of yogurt instead of a scoop of ice cream. Simple replacements will still satisfy your hunger and keep you on track to a reasonable weight loss goal. Losing weight doesn’t have to be difficult or painful. 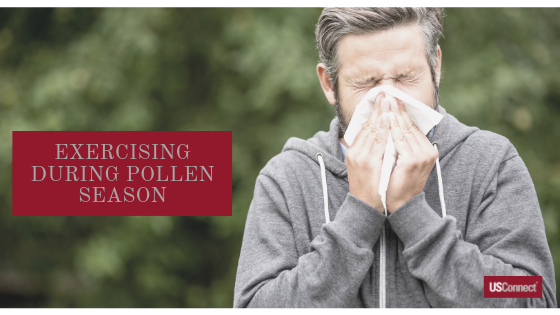 By making small, simple changes consistently and dedicating yourself to continuing these little transformations, you will find that before you know it, you have made a significant transformation in your health. We wish you a very happy Heart’s Day! 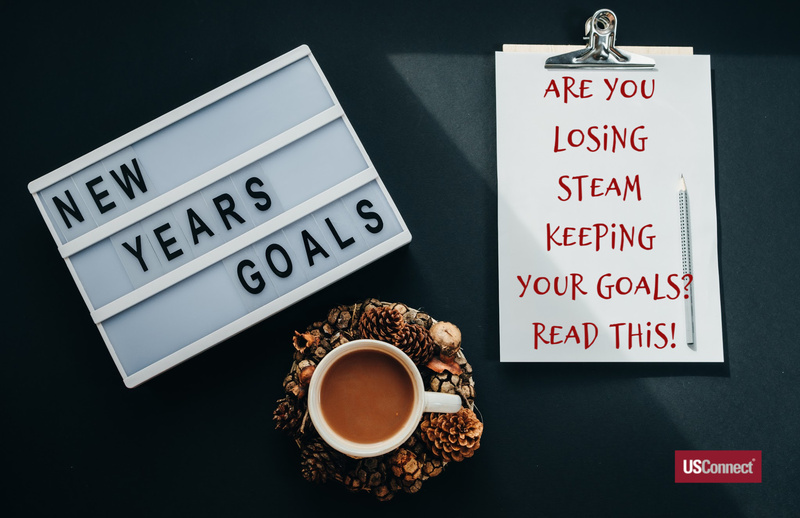 Part 2: Best Resolutions and Best of Intentions, but Losing a Little Steam? In part 1 of this article, we talked about a list of resolutions that are nearly universal in the tradition of annual rebirth and revitalization which include lose weight, spend less, learn more, or do something to better your life in some way. In the second part, we want to discuss HOW you can stick to the promises that you made to yourself! The key is to make sure you are setting realistic goals that you can reach. Many people set the bar too high or make their goal too vague. For example, rather than establishing a normal healthy weight loss goal such as losing one pound per week, a person might proclaim that they are going to lose 50 pounds without really laying out a plan for the appropriate time frame in which they will accomplish this goal. This can lead to a sense of defeat if he/she doesn’t see rapid weight loss. And whether it’s weight loss, controlling our spending, getting better grades in school, or asking for a promotion at work, our resolutions always take us out of our comfort zones. With that in mind, it’s vital that we set smaller and very precise goals for ourselves—goals that will be easier to reach and help us build our confidence in our ability to succeed. As you attain these smaller goals, your satisfaction will soar. Nothing helps me put that truffle back in the box like remembering that the last time I stepped on the scale, I was five pounds lighter, and I liked that. Celebrating each small success makes it easier to keep going. Before you know it, you will have reached your goal. Many people find it helpful to track their progress in writing. You can look back on your journey later and really appreciate the work you put in. Sometimes, reading back over it and recalling the struggle is all it takes to find the motivation to keep going. And who knows, you may use your story later to inspire others facing the same challenges. It is also important to put a number on it. Instead of just some vague goal like losing weight, set an attainable goal that will be easy to reach like one pound per week for four weeks. That may seem like a small amount, but according to the CDC, people who lose their weight slowly and steadily are much more likely to keep it off because true healthy weight loss is not going to come from a temporary diet, but from adopting a new lifestyle long-term. And, the CDC also says that 1 to 2 pounds per week is an ideal goal. To lose one pound per week, you would need to burn off 500 more calories than you consume on a daily basis (500 calories x 7 days = 3,500 calories). If your goal is to “spend less money,” make this goal less ambiguous by budgeting exactly what money you will spend and where it will go. Make use of a budgeting app like Mint or PocketGuard. You can also just plot it out on a spreadsheet. Whatever method you prefer, by tracking how you spend, it becomes much easier to see where you may be wasting money on things you don’t really need. That is how you start. Once you can highlight the less important recipients of your hard-earned cash, you can figure out how much money could potentially be saved by cutting those things out of the budget. The key is to take baby steps. Make small changes initially, like opting to brew a cup of coffee for yourself in the morning at home rather than spending $4 at Starbucks every day. 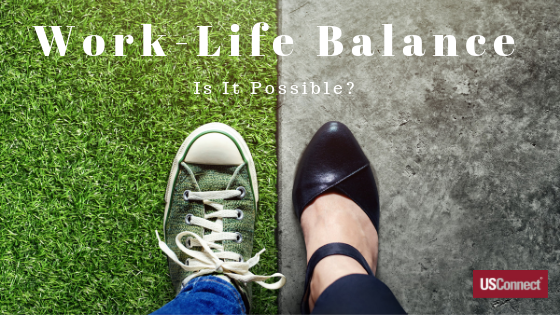 Whatever your vice, chances are that you can see big changes in your pocket at the end of the month once you start taking a closer look at your spending trends and making conscious efforts to peel back a little bit at a time. Remember, write it down, take baby steps, and make sure you know exactly where your target is before you shoot the arrow. With sensible small goals, structured plans for accomplishing them, and a willingness to accept that you just might make a few blunders along the road to victory but that doesn’t mean you give up, the group of people celebrating success this year will probably include YOU. Go do it! Part 1: Best Resolutions and Best of Intentions, but Losing a Little Steam? Chances are pretty good that like over 40% of other Americans, with the dawn of 2019, you resolved to lose weight, spend less, learn more, or do something to better your life in some way. This list of resolutions is a nearly universal tradition of annual rebirth and revitalization. Sounds good, but how’s that working for you? By now, for many of us, our gusto has turned to dust-o. When that alarm beeps at 5 am to remind us it’s time to go running, the bed feels a little warmer and more comfortable than it ever has before. Did you swear off chocolates but then, after realizing you just popped your third truffle into your mouth, decided that it’s too late to turn back and “to heck with those resolutions”? Just finish the box? No way! Come on, you can do this. Everyone is entitled to a mistake or two. Enjoy that truffle; don’t beat yourself up over it, but don’t feel the need to finish off the box. If you fall down, get up and keep going! So, how do we go about maintaining the excitement and zeal to hold fast to our well- intentioned resolutions? Do many people really make it through to the end of the challenge and succeed, or do most of us just make the resolutions for fun and never really bother with it for very long? Sadly, about 80% of people fail in their resolve by the second week in February, according to U.S. News & World Report. What is the reason for making our resolutions on New Year’s anyway? When did this whole idea start and why? As it turns out, ancient Babylonians and Romans seem to have started the tradition by making promises to their gods about trying to be better people by returning items they had borrowed and repaying people to whom they owed money. The early medieval knights vowed to remain chivalrous while Christians sought forgiveness through prayer and made resolutions about living more holy lives. The tradition of making New Year’s resolutions still has a place in current religious practice, not only remaining a practice among many Christians, but also during Rosh Hashanah, the Jewish New Year, which finds its faithful reflecting upon their actions over the previous year and seeking forgiveness for their sins. The tradition is very much rooted in religious beliefs and has been sustained through the ages as humans forever aspire to be better than they are. It is a noble desire, and each year, there are always those who do find success in reaching their goals. Do not fool yourself into thinking that just because many people give up, it is an unworthy goal or a waste of time or effort. On the contrary, if you do it right from the very start, you’ve got this. And the cliché that anything worth having is worth fighting for, well, that is a life truth. So, what does it take to keep the flame burning and not giving up on those promises we make to ourselves? We’ll dive into that in part 2 of this article!